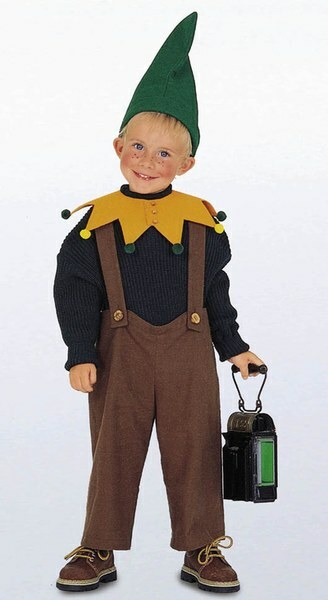 Dwarf A: Knee-length, very wide trousers/pants with braces/suspenders, with short hooded cape. 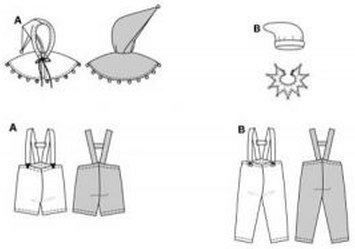 Dwarf B: Long trousers/pants with braces/suspenders, zigzag collar and long pointed hat. Instructions in English, German and French.